As the snowy Michigan winter of 1966 progressed, so did Poppen�s invention. 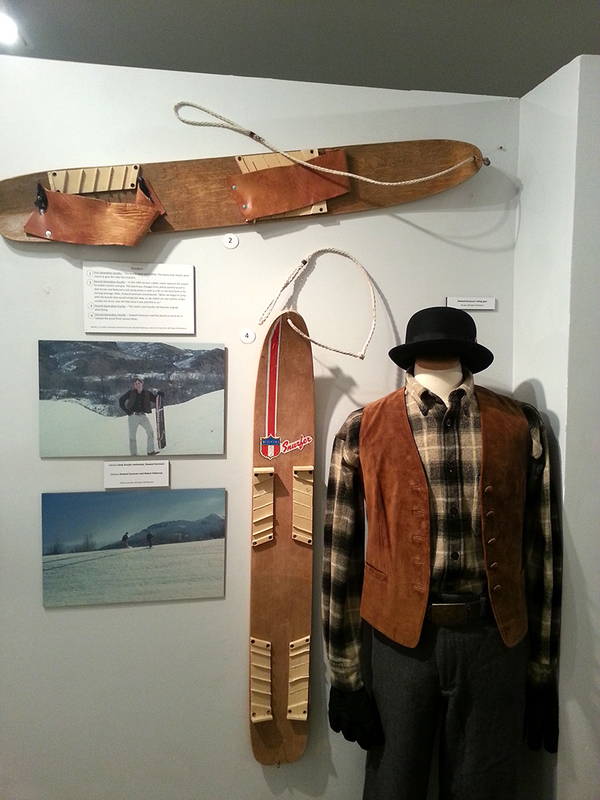 Poppen built a wide wooden board with a upward sloping nose and later added a rope to the nose. 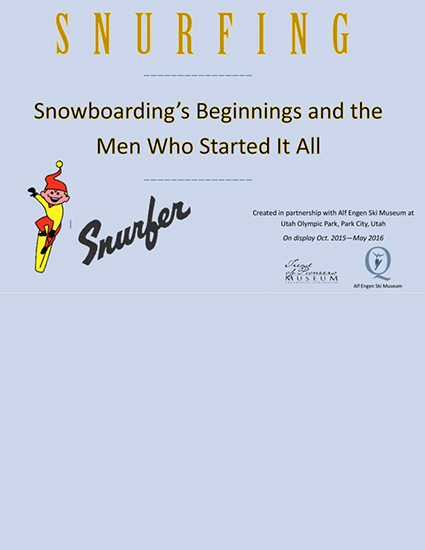 By March of 1966, Sherman Poppen had acquired a patent on the design as well as a trademark and copyright on the word Snurfer. He then licensed his invention to the Michigan toy company, Brunswick. The Snurfer was in production for 15 years and about 900,000 boards were sold, making it one of the most popular toys of the 1960s. 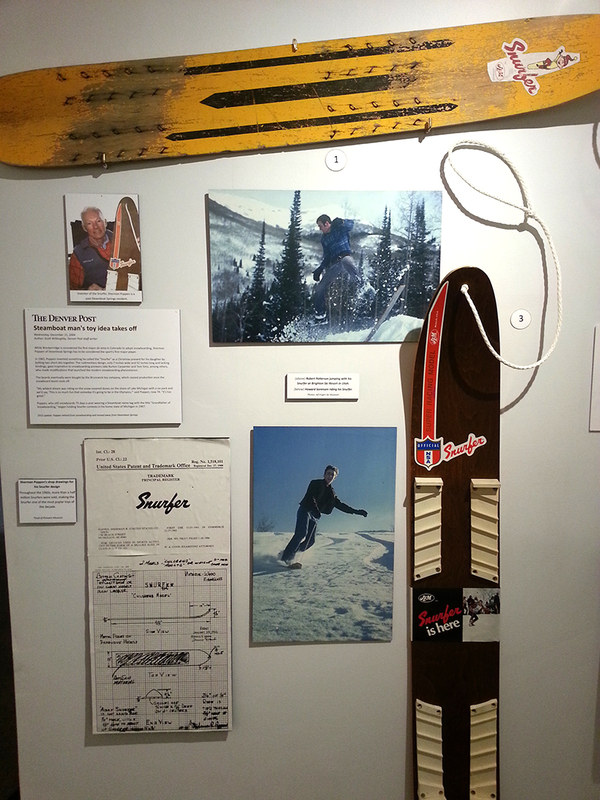 Poppen eventually moved to Steamboat Springs and took up snowboarding at age 65. In the late 1960s, two Utah boys caught the Snurfer fever. Howard Sorensen and Robert Patterson used their Snurfers on the steep, powdery mountains of Utah. Sorensen recalled, �The Snurfer was not meant for icy conditions, as it had no edges. It worked best in powder, which is exactly what we had.� The two riders took their boards all over the Intermountain West. Grand Targhee was the only resort that allowed Sorensen and Patterson to ride the lift; everywhere else they hiked up and Snurfed down. 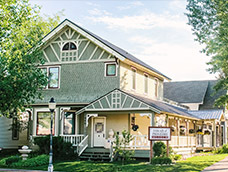 �As we began to jump with the boards they would simply fall away, so we added our own leather straps, usually out of our own elk hide since it was plentiful to us,� Sorensen said. In the late 1970s, using Poppen�s design, snowboard innovators like Jake Burton, Tom Sims, Chris Sanders, Dimitrije Milovich, and Jeff Grell began developing the snowboard, bindings, and boots as we know them today.